The talk will run from 6 to 7 p.m. local time at the Elliott Hall of Music, Purdue said. The event is free, but people must apply for tickets online or at the Stewart Center box office, and seating will begin at 5:30. Joining Wozniak will be Mung Chiang, dean of the College of Engineering. The bulk of conversation should be about artificial intelligence and the possibility of it going rogue. It's frequently believed that self-sufficient AI is only a matter of time, at which point it's unknown what control humanity will have, and how that AI will treat its creators. A small but growing contingent of activists are opposed to autonomous military machines. "From AI to autonomy, and from privacy to education, our campus and neighbors will hear what the legendary Woz thinks about these critical topics," Chiang said in a statement. Wozniak is widely recognized as the technical brains behind the formation of Apple, doing essential work on the Apple I and II as well as the Macintosh. He left Apple in 1985, but still has close ties to the company. 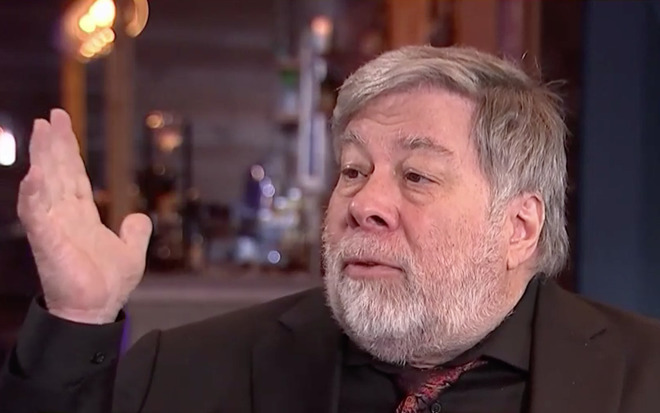 In recent months he has been embroiled in a controversy over his "Woz U" programming boot camp. Course material was allegedly riddled with outside links, prerecorded "live" lectures, and typos that prevented code from working, while mentors were unqualified, and at least one course went without an instructor. "I feel like this is a $13,000 e-book," one student told CBS News.